The JTS and I went on a weekend getaway. Just the two of us. We had a relaxing stress free few days. We also did a little shopping while we were out of town. Checking out new flea markets and antique shops. I spent a whole $20 on stuff. 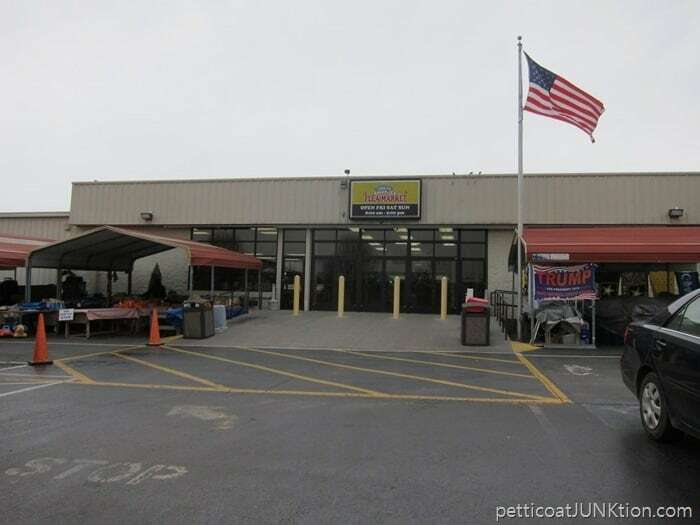 The first place we went was to the Great Smokies Flea Market in Sevierville, Tennessee. I have to say it was a big disappointment. 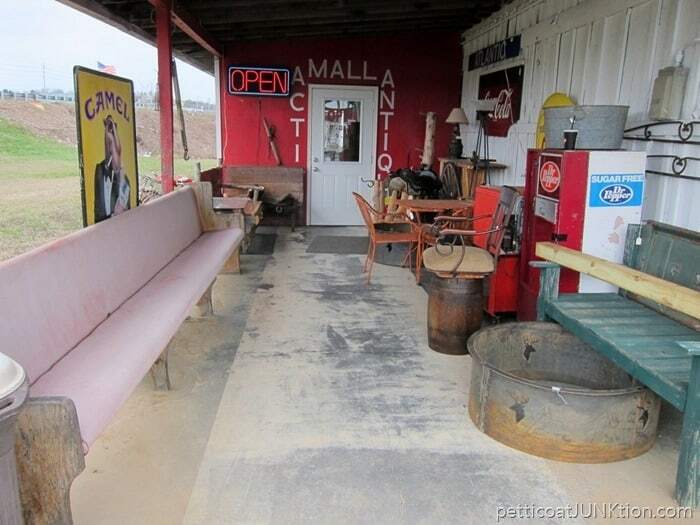 The flea market is right off of Interstate 40 in Tennessee and I’ve noticed the flea market on several occasions while traveling the interstate. I just never took the time to stop or either it wasn’t open. The flea market was filled with new stuff. 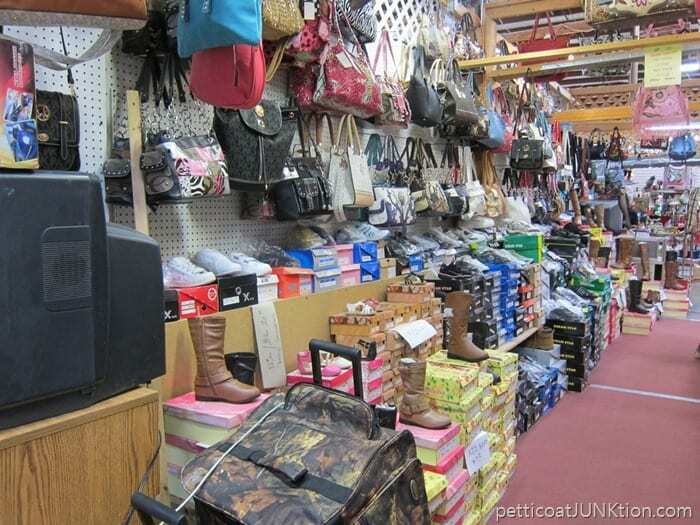 Everything from knock off purses, to knives, to jewelry cleaner on every aisle. To be fair the weather was cold and very few of the outdoor booths were open. Maybe that’s where the good stuff is. Anyway, less than 20 minutes shopping and we were out of there. 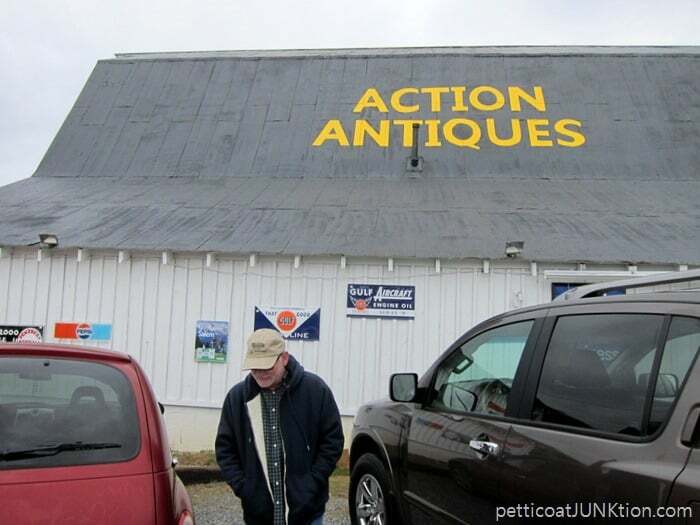 Next stop was Action Antiques. The JTS keeping his head down. It was just a bit rainy. Now, this looks more like it. 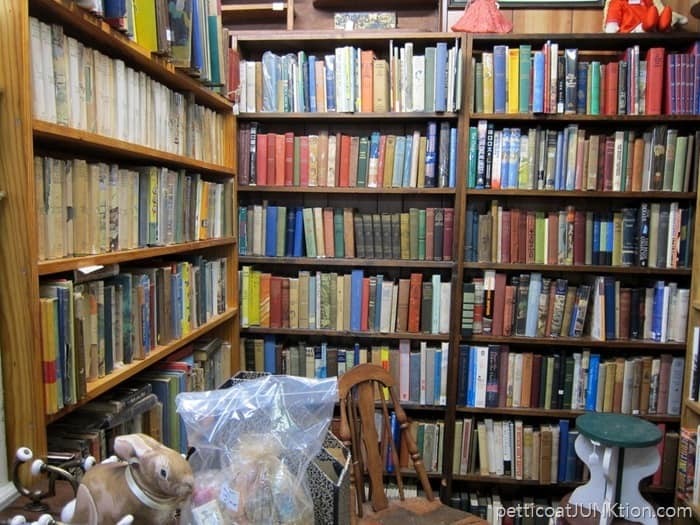 The inside of Action Antiques was filled with vintage and antique goodies. We visited a number of shops in Sevierville and I’ve never seen as much vintage and antique glassware in my life as I did on that one day. My favorite is the Vaseline Glass and I failed to get one photo of the glass. I ran across the vintage kitchen scale but at $38 it was over my budget. I did buy this little framed print for $1. I’m a tight wad. Have you guys ever seen the orange vase/bottle? wall décor. It looks really familiar to me. I think it’s from the 60’s. I almost bought the four pieces for $12. You know orange is one of my fav colors. The bold yellows and reds caught my eye too. I bought a bag of 10 hardware pulls and a couple of other small hardware pieces for $17. Now before I left town last week my friend Beth came up and we did a little shopping. This is Beth at my favorite junk shop. 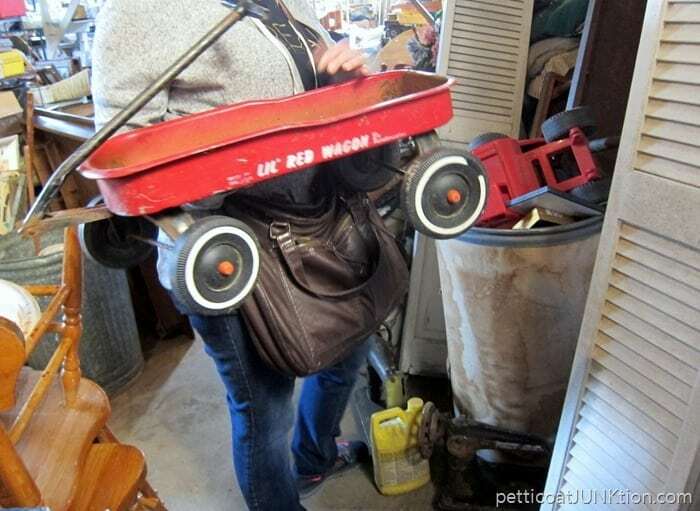 She spotted the little red wagon before I did. 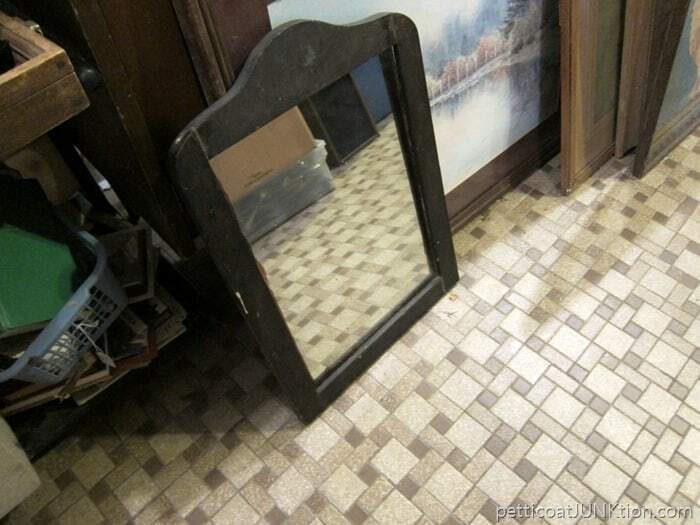 I grabbed the mirror for $5. 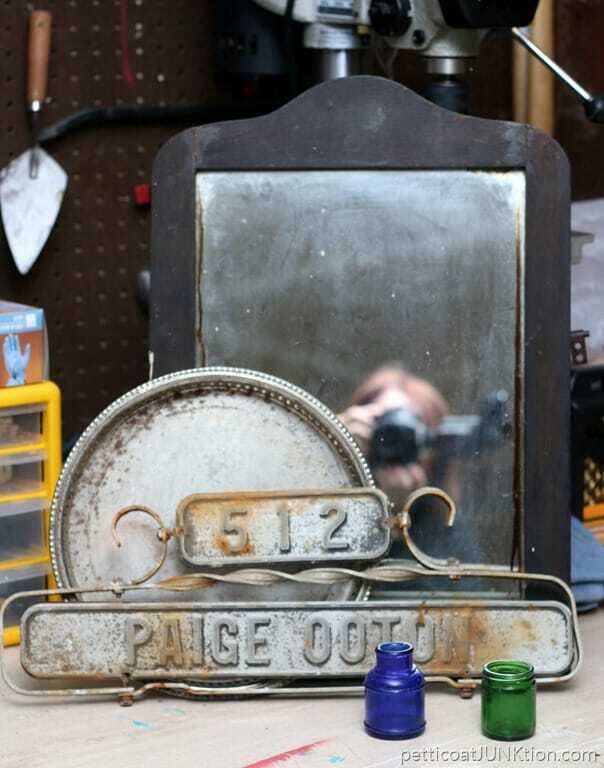 I also bought a small tray, the metal address sign and the bottles. I’m not sure what I’ll do with the address sign. It was rusty….what can I say. The beautiful green and blue jars were hard to pass up too. Hope you enjoyed the shopping trip. Have you ever been to the Sevierville, Pigeon Forge, Gatlinburg area? 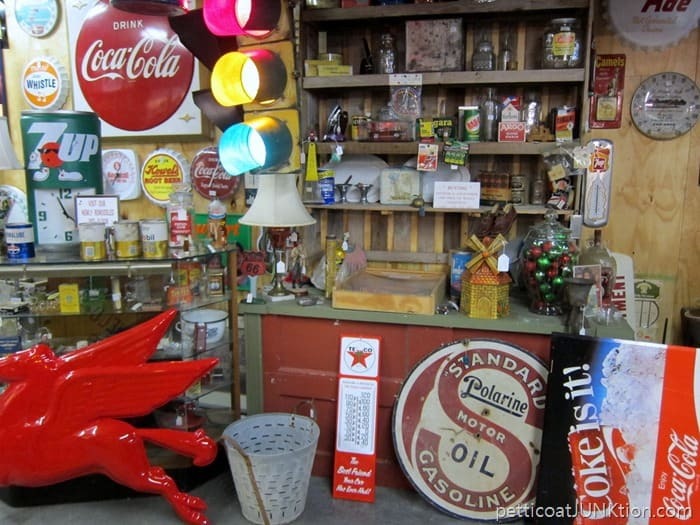 Flea Traders is a Much better flea market in Sevierville. It is on Hwy. 66, 4 miles from downtown. I am from S.Carolina. We go up 3-4 times a year and found this our last trip last month. They have both indoor and outdoor. I can’t wait to go back in the spring/summer. Looks like fun! I always enjoy that kind of adventure. I really enjoy your slice of life that you share with us. Like everyone says, you are real, just like one of us! I found a similar bag of drawer pulls at an estate sale and when I cleaned one it was a beautiful copper color. I’ve only seen brass before. Now I need to find the right piece for them. So many projects, so little time! My BFF’s goal is to get me to Gatlinburg since I’ve never been. Soon hopefully. Sounds like it was fun–both trips. 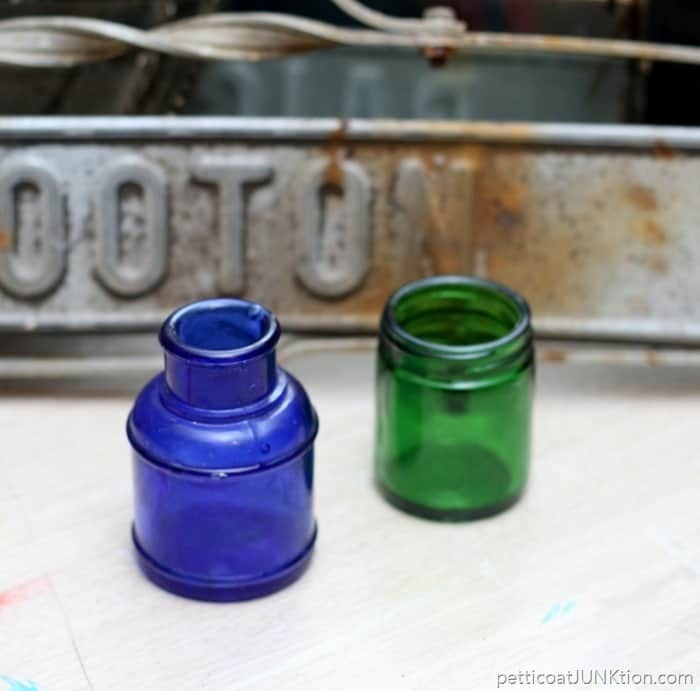 I love the old blue glass. The metal tray and sign would have been one of my picks, too. It’s rusty, what can we say?? I’m so glad you cut my head off in that picture so we don’t have to fight. 🙂 🙂 🙂 Glad to see your trip was fun! Kathy, like Tammy said, I love your blog because you sound “just like us”. No airs! I really enjoy reading about your trips. There are not too many flea markets in northern Illinois is in the winter, but I go to our local Goodwill and they have some great, cheap stuff. Thanks so much for sharing. We go to Gatlinburg twice a year and I have always wanted to stop at the Flea Market. Not gonna happen now. Bummer. Will check out the antique stores! Yes, check out the antique shops. I didn’t find a good junk shop. Maybe next time. Great little hunt! 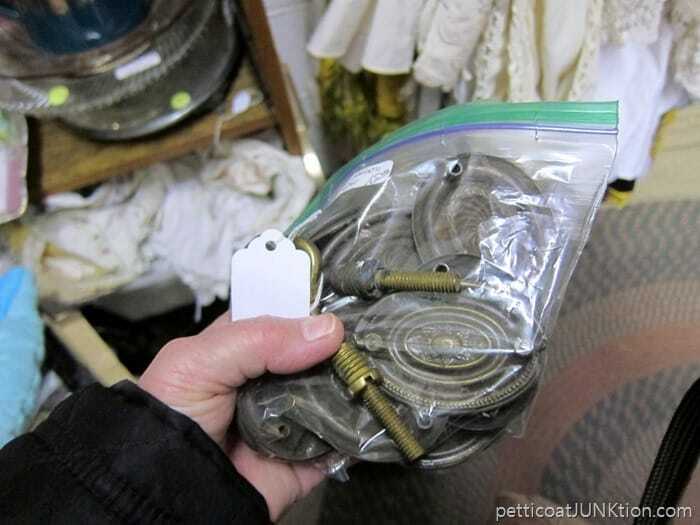 I have the exact same drawer pulls that are in the plastic bag. Isn’t “the flea life” just grand? Wonderful finds, love the $1 bird plaque, too. 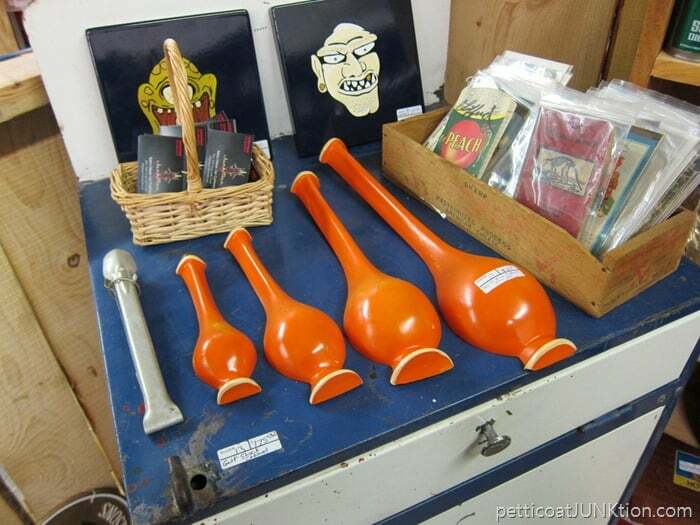 I had those same orange bottles on my wall for years. Thanks for the flashback. Sounds like a wonderful trip. 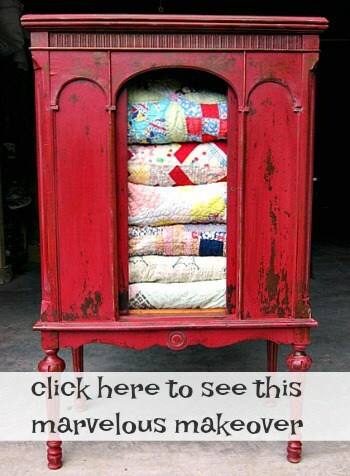 Would love to do this but my husband is not into antique shopping. 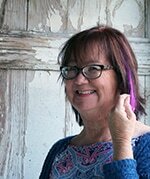 Kathy, I so enjoy your blog because you are casual, candid and just plain real. Like you, I am also “cheap” (definitely not a criticism) so I really appreciate that you don’t mind sharing the prices and venues for many of your bargains. Revs me up to go find my own treasures down here in sunny (not!) Jacksonville, Fl. You’re a hoot! Haha! Thank you Tammy. I am crazier than what I let you see on the blog. I would drive you all away if I really let loose, lol. I’m so glad you enjoy reading the blog. I wouldn’t be here if I didn’t have feedback from my readers. I mean what would be the use. It would be like I was just writing in a diary for no one to see. I find nothing wrong with $1 bargains! I too am a tightwad…unless it really catches my eye. I happened upon a real steal with a sterling silver tray and several odd silver pieces bundled. The tag said $50 for all…hmmm…all I wanted was the tray. The dealer said it’s a package deal…all or nothing. 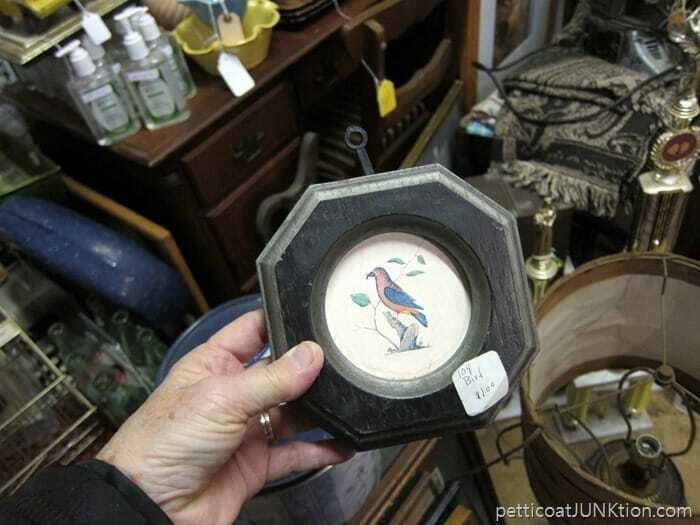 Hmph…but all I want is the tray, to which he answered: take it all for $25. SOLD!!! When he looked at the tag, he was floored. YAY me. Haven’t a clue what to do with all the pieces; they’re all tarnished and “green” with age…stunning! I love old, vintage, rusty stuff too and love your style, ideas and the way you describe your adventures! Sooo funny and inspiring. OH! I love silver trays. There are so many things you can do with them. I also love a good deal. It never hurts to ask for a discount. Thanks for your nice comment. You made my day. 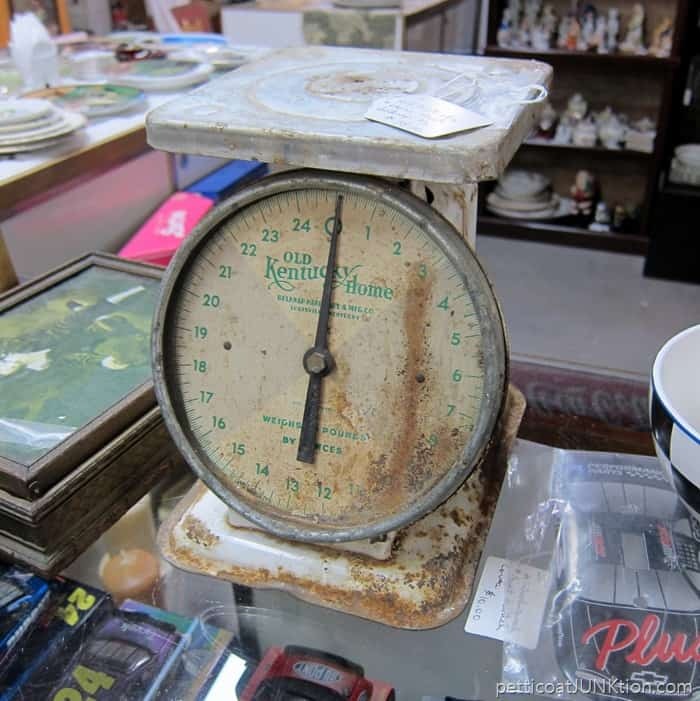 I love the antique shops in Sevierville and agree with you about the flea market. We schedule our vacation in Tennessee almost every year! We want to move to Sevierville too! I would have bought the metal sign, too, as after 5 grandsons, we were finally blessed with a granddaughter and her name is Paige. We go to the area at least once per year and love it there. 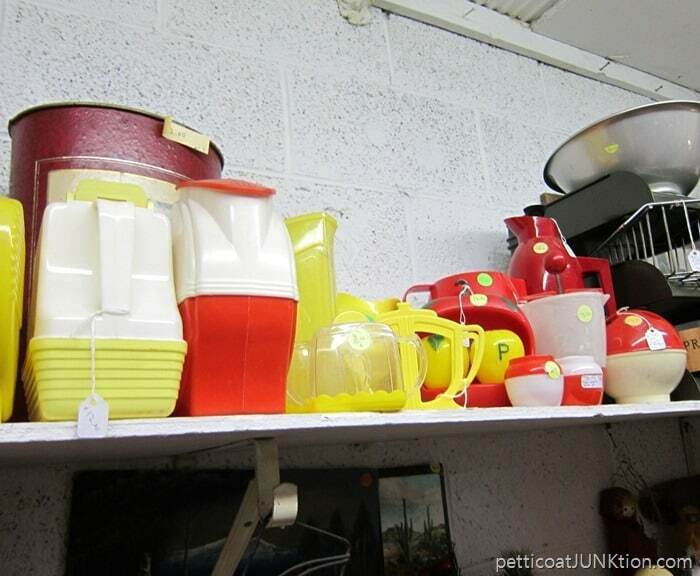 I don’t think something should be called a flea market if it has new stuff on every aisle. What a bummer! One of the best fleas here in San Antonio is mostly made up of the people who come and set up outdoor tables. But there are permanent stalls where the vendors keep the stuff locked up on the closed days. Many of these have the new items. 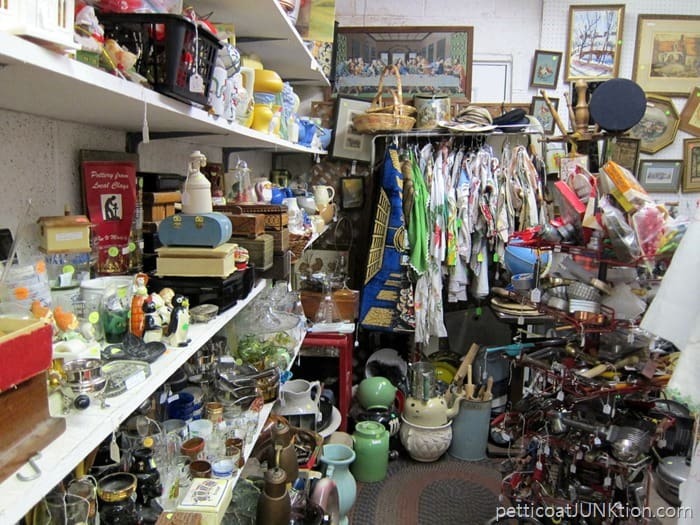 Thankfully there is lots of good junk to go through on Sundays. I plan to go on superbowl Sunday but I need to call first to see if they expect to have enough vendors, or if it’s a bust because of the game. Kathy, the system wouldn’t let me post this, I guess because it’s too long. When I hit the comment button it says that it timed out. I’m not sure how to get around it, but will retry. Is there a way for you to fix this on your end ? Hi Patty, Your comment did post or was this a second try? I think we went to the flea market in San Antonio and it was a bust. It must not have been on Sunday. I bet the market doesn’t have many vendors on Super Bowl day. Happy Shopping! Love that metal sign – I would have bought that too. Can’t wait to see what you do with it. Can you get a picture of Vaseline glass next time you are out shopping?